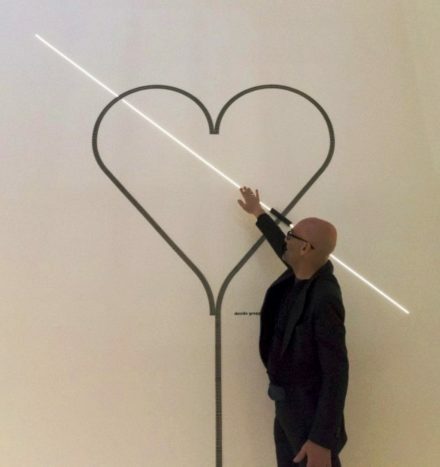 “ Light & Shadow” + Collections exhibition was shown by Nendo for Marsotto edizioni at the exhibition space “Spazio Bigli“ ( Via Bigli, 11 ) during the Milan Design Week 2016. 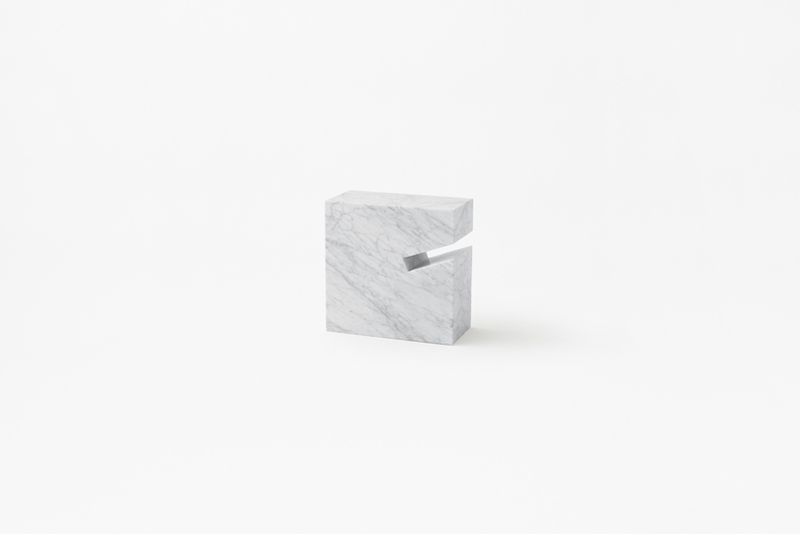 Nendo noticed that Marsotto, a marble furniture specialist, make a lot their products using a single source material in either “black” or “white”, without combining any other materials. 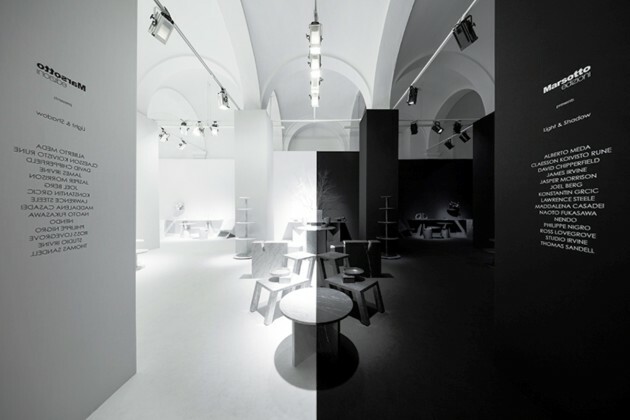 So in order to utilize the rather unsightly regularly spaced pillars and the spatial feature of the entrance being in the middle of the Spazio Bigli venue space, it was decided that the exhibition space would be divided right and left using “black” and “white”. 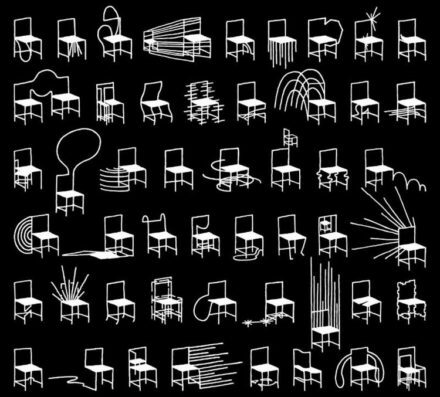 Furniture was arranged in a complete symmetrical manner in each space, so that as soon as one enters the room they are standing right at the boundary of the spaces. 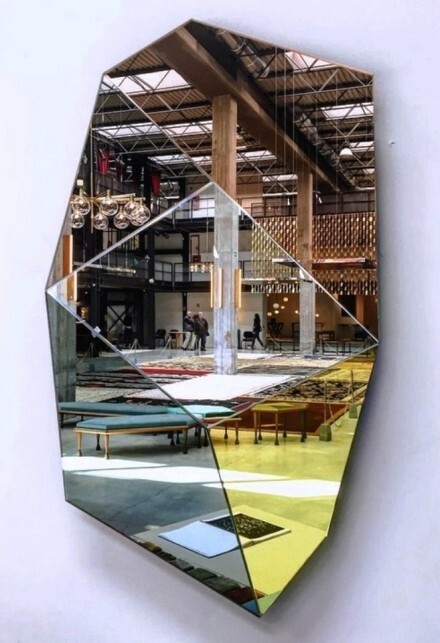 A visual effect was created as though the spaces were reflecting each other like a mirror, along with the pillars that were rhythmically arranged. 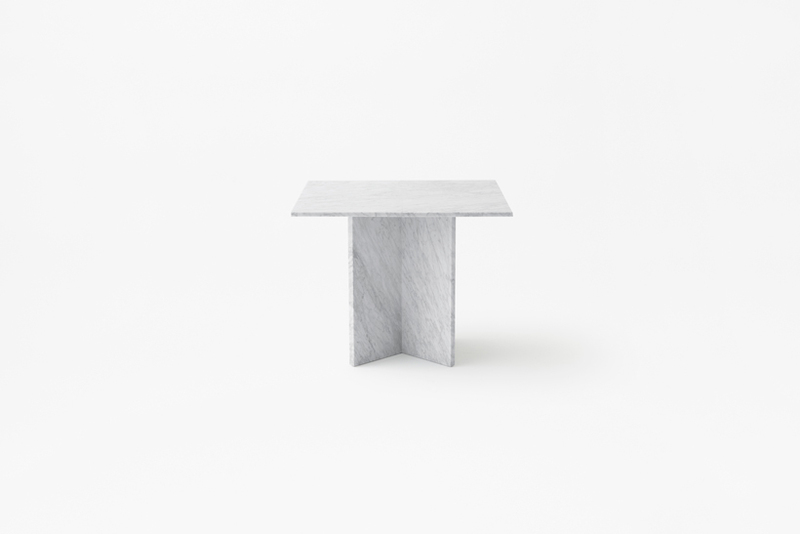 The “weight” of marble is often perceived as a negative factor, but this element has been actively exploited, resulting in the creation of a table that is tilted to one side. 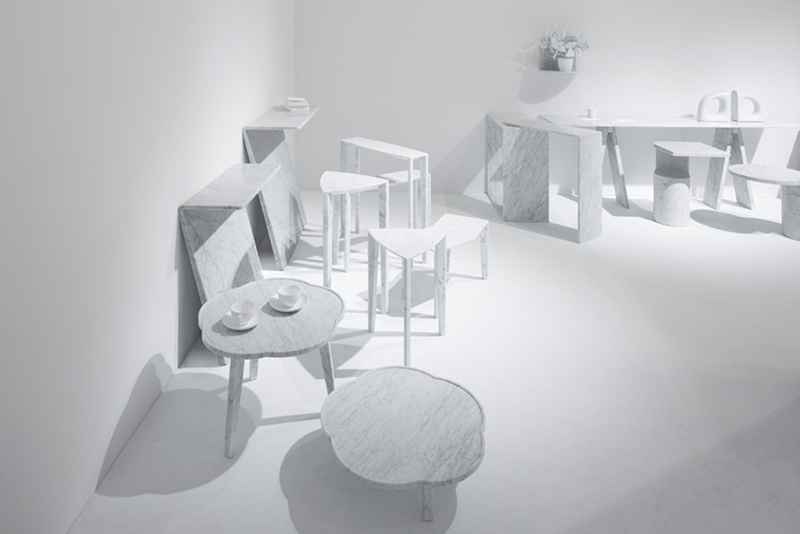 The table is precisely stable due to the weight of the leg section and its appearance of instability in turn provides a new expression of “agility” to the marble. 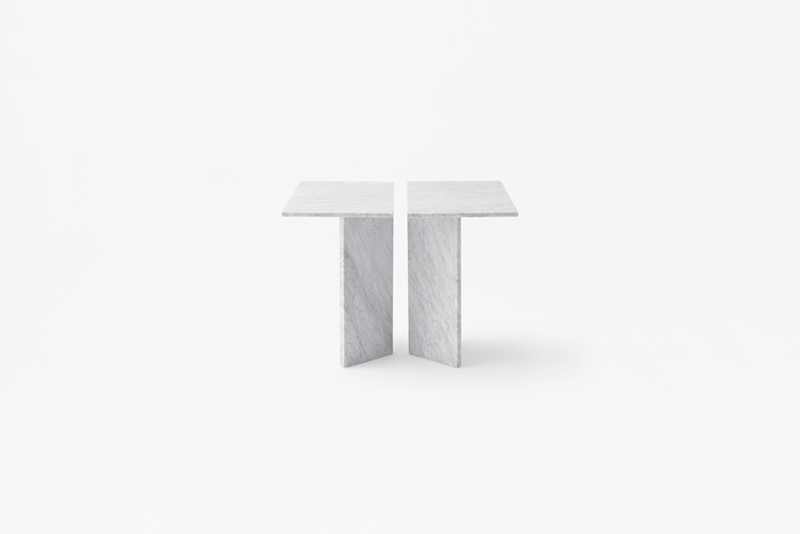 When placed alongside the wall the “half table” becomes a console table, and when two “half tables” are combined they turn into a normal table. 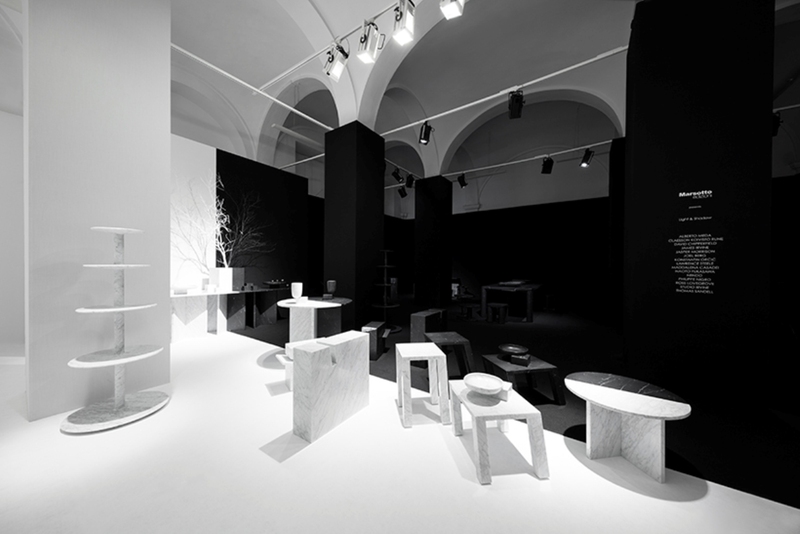 Moreover, by inserting a 600 mm width table as a spacer, the piece can be used as a long table. The length can be extended for as long as one likes by adding additional spacers. 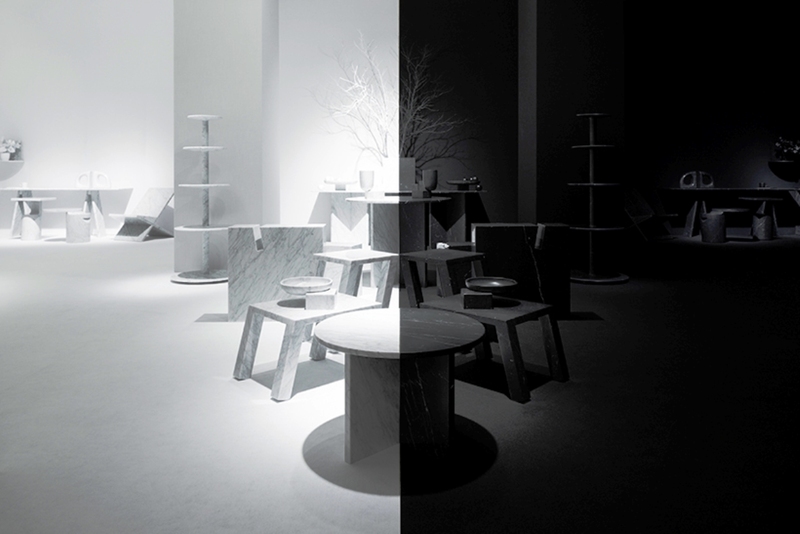 The tabletop comes in two types – a half circular and square – and with a unified width of 900 mm with 3 variations of colours, white, black and grey that can be freely combined to lend a variety of styles. 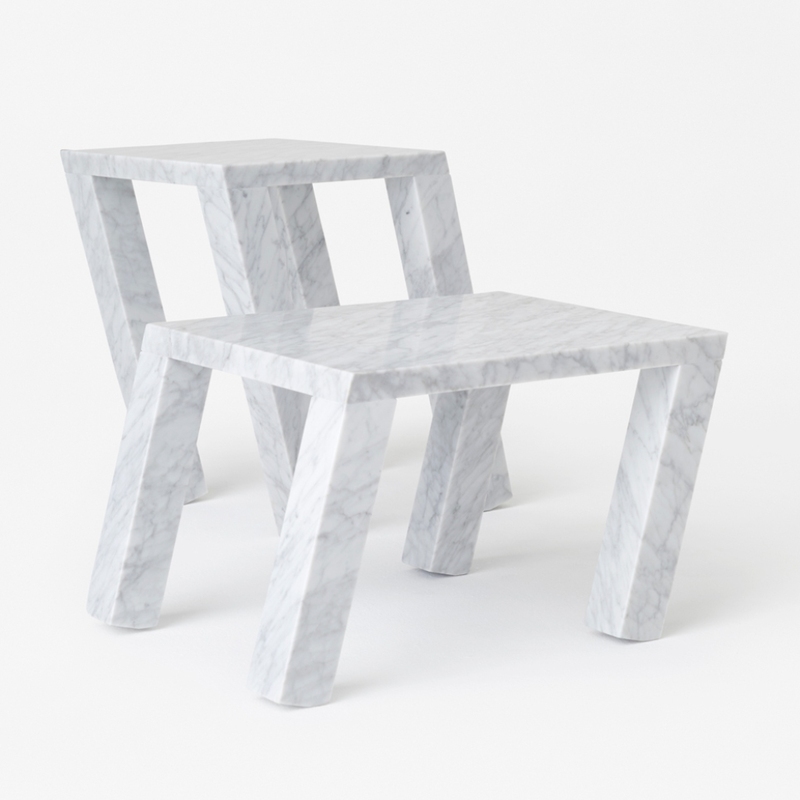 Noting that the manufacturing of furniture begins when slabs are cut out from one big block of marble, a marble block just as it stands became a side table. 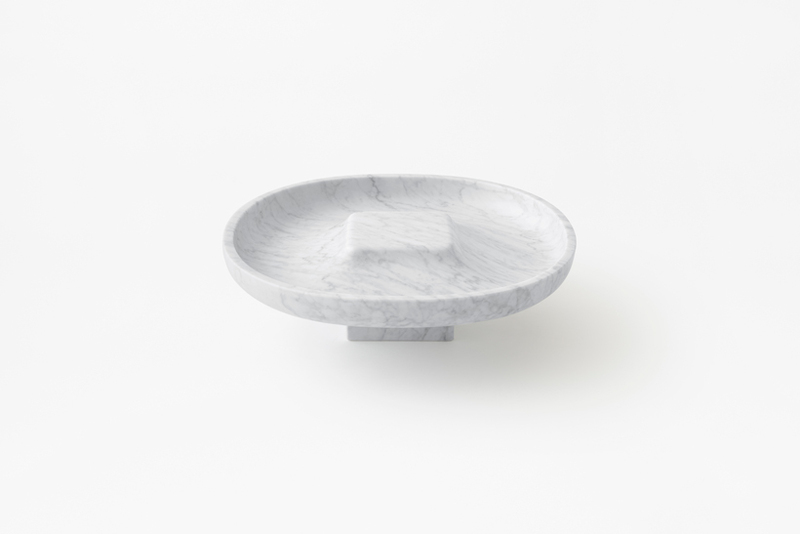 Although narrower than a conventional table, its base is sufficiently stable due to the weight of the marble. 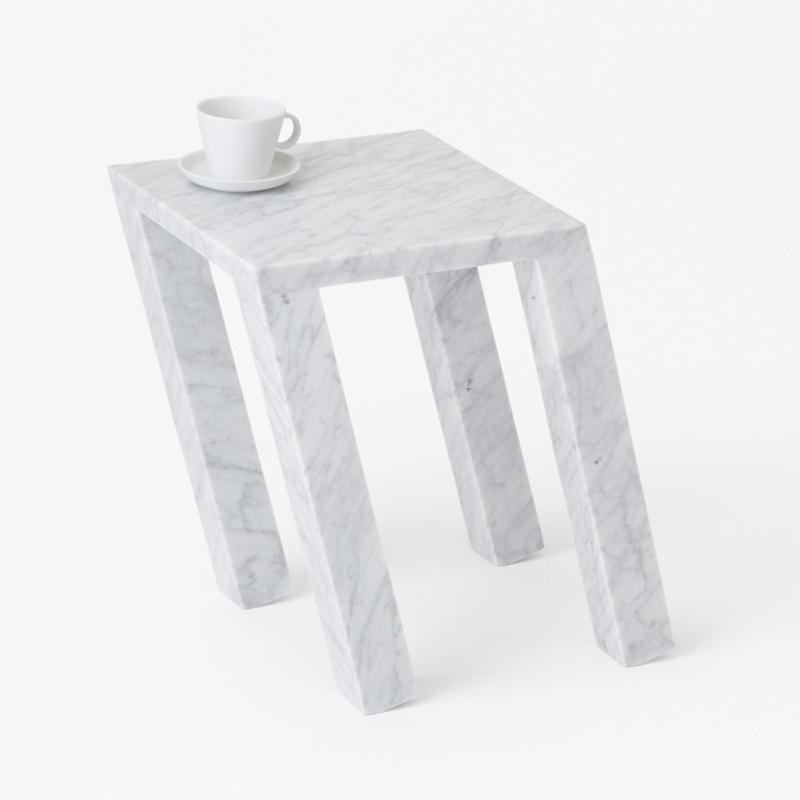 The tabletop is somewhat compact so one can effortlessly place a coffee mug or eyeglasses on top of it. 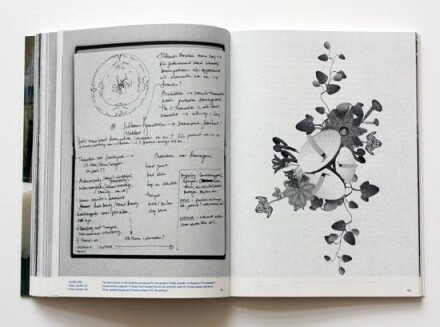 In addition, a “notch” was cut out in one section where books and magazines can be inserted. 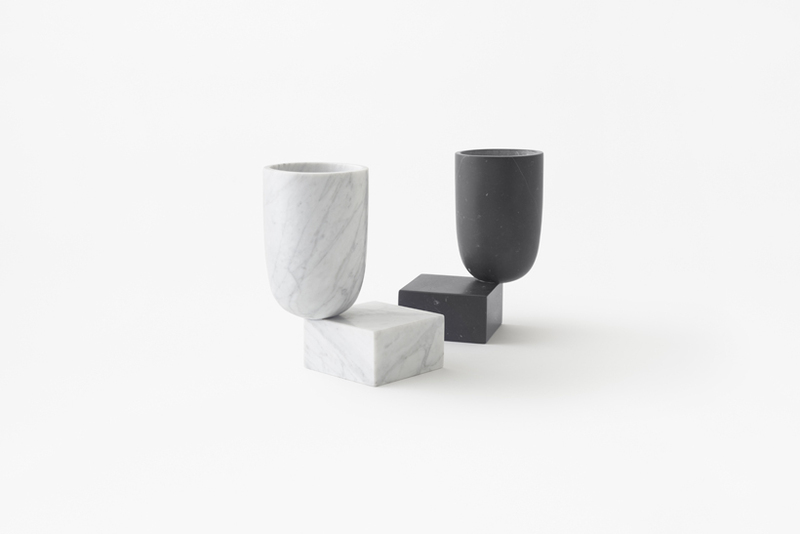 The collection consists of small and large fruit bowls and vases that are made up of roundish vessels fixed on flat and smooth square pedestals. 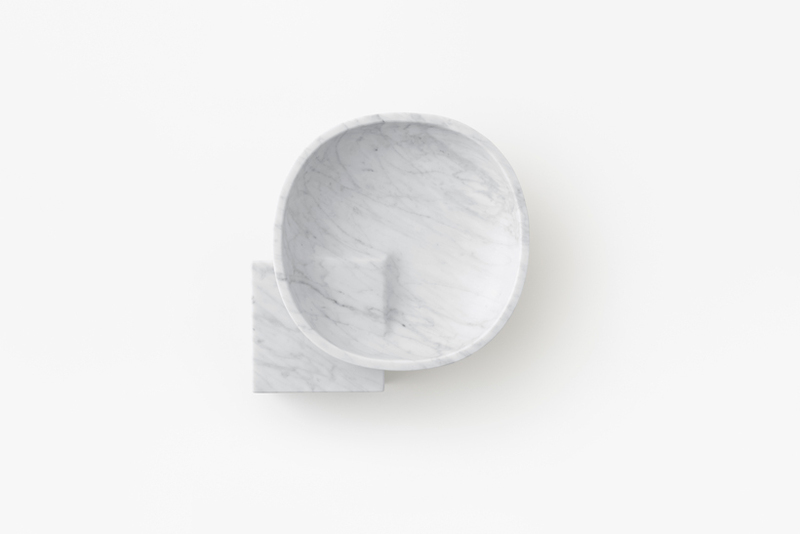 The pedestal is shaped to softly emerge from the surface of the vessel, which allows the presence of the pedestal to be felt as if it is otherwise hidden underneath. Because of this, the name “under” was given. 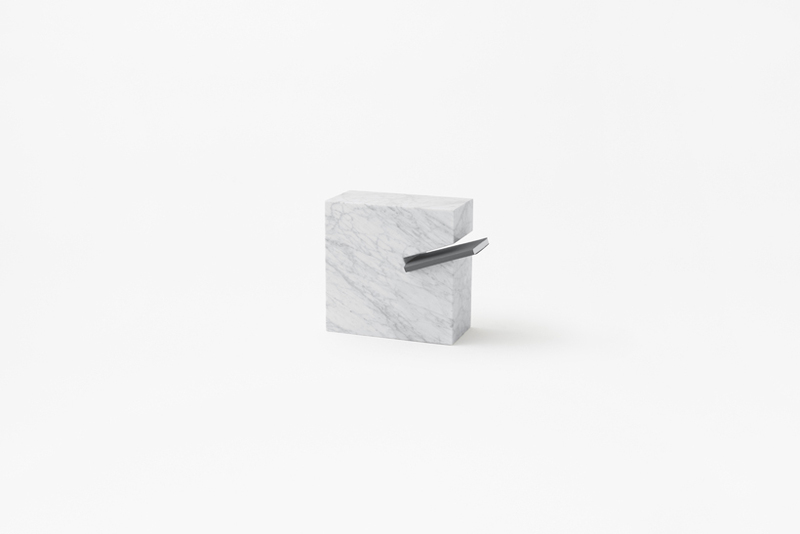 A design that gives the impression of “softness” and “warmth” to marble stone in contrast to the stereotype image of “solidity and coldness”. Unlike furniture made out of wood or metal, the furniture does not have an “underside” since it is a block, and consequently it can be flipped to face a different direction. Born in1977 in Toronto, Canada. 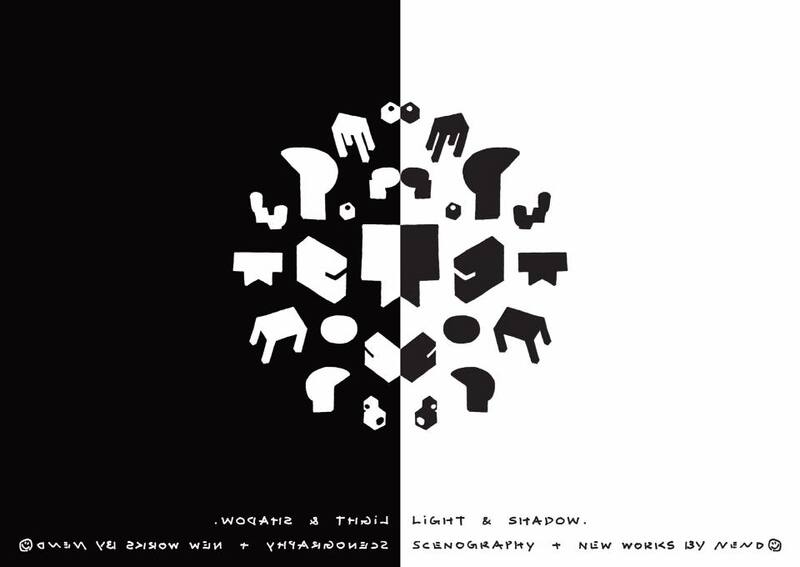 Received M.Arch. from Waseda University,Tokyo in 2002. 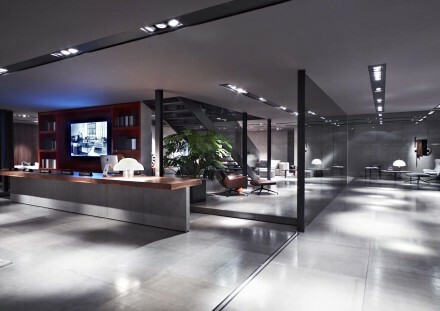 Established design studio ” Nendo ” in the same year. 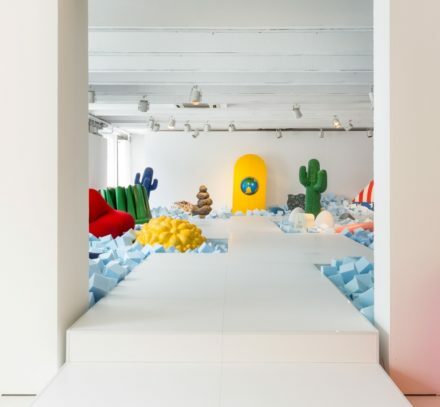 Activity in the design world has not been limited to any one area but is rather multifarious, spanning from graphic and product design to designing furniture, installations, windows, and interiors, and even reaches into the realm of architecture. 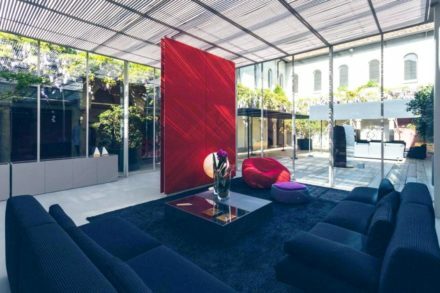 Chosen by Newsweek magazine as one of “The Most Respected Japanese” and won many “Designer of the year” of major awards include from Wallpaper magazine and ELLE DECOR magazine. 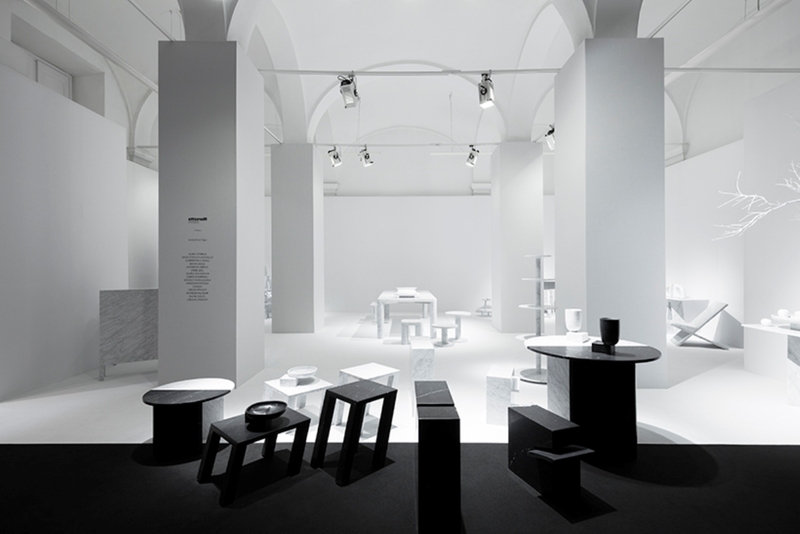 Nendo designs can be found in the Museum of Modern Art in New York, as well as Musee des Arts decoratifs and Centre Pompidou in Paris. 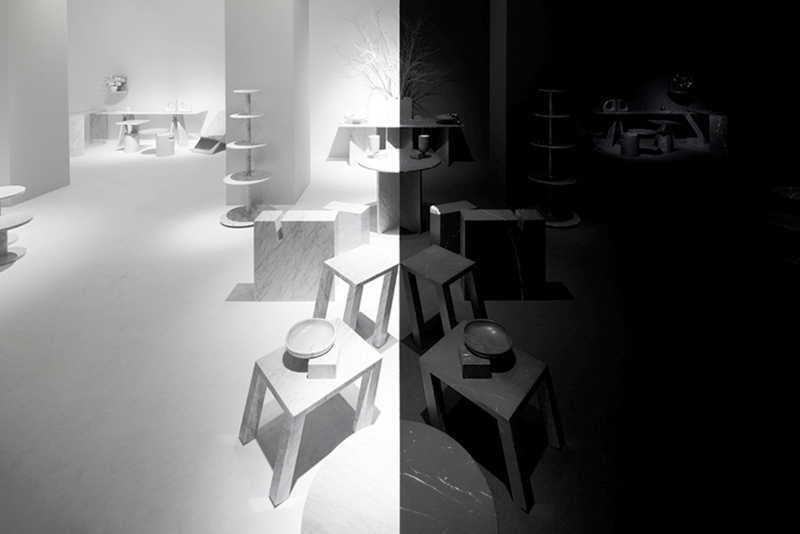 Marsotto edizioni embodies the supreme qualities of one of the world’s noblest and most ancient materials. 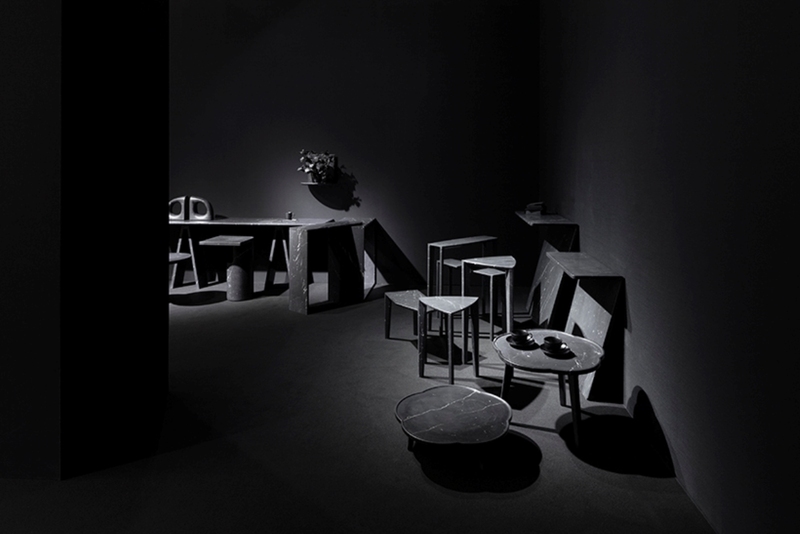 Plus the wisdom of skilled craftsmanship allied with design culture, in the search for a genuinely contemporary idiom. And a steadfast urge to break new technological ground. 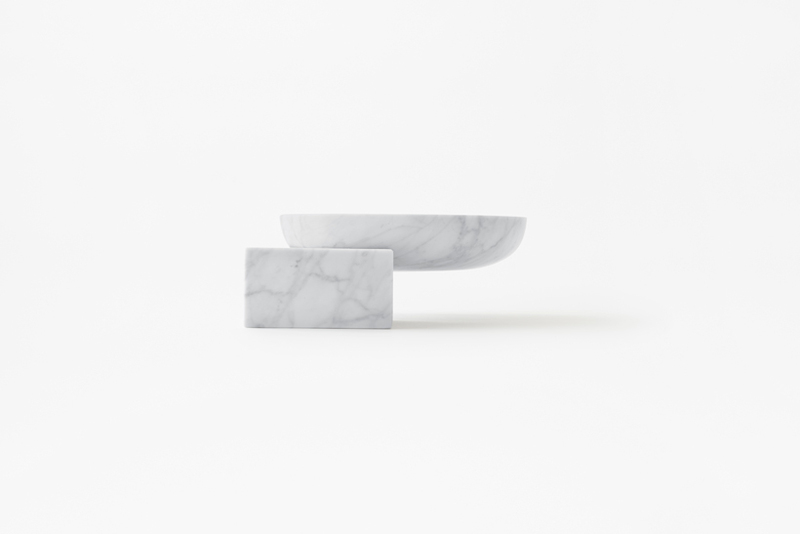 White Carrara marble is truly an extraordinary stone. 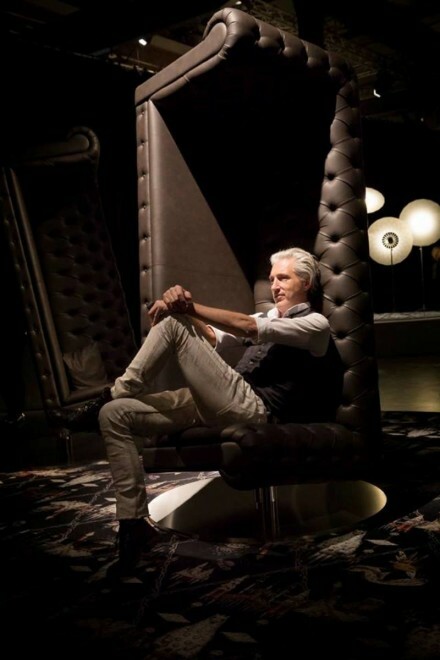 Evoking the great civilisations of the past, it continues to inspire those of the present. 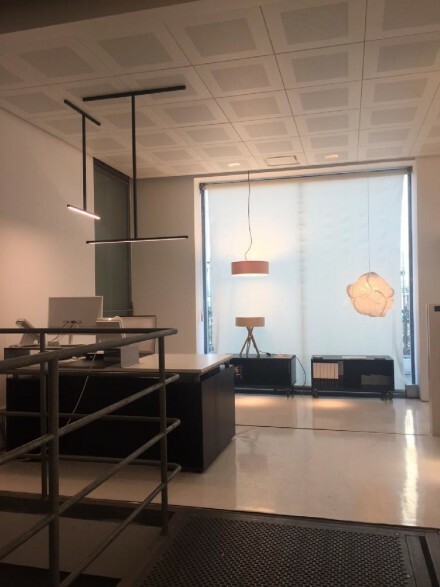 Backed by experience gained from over two hundred years in the industry, Marsotto can perfectly interpret the creations of top international designers. 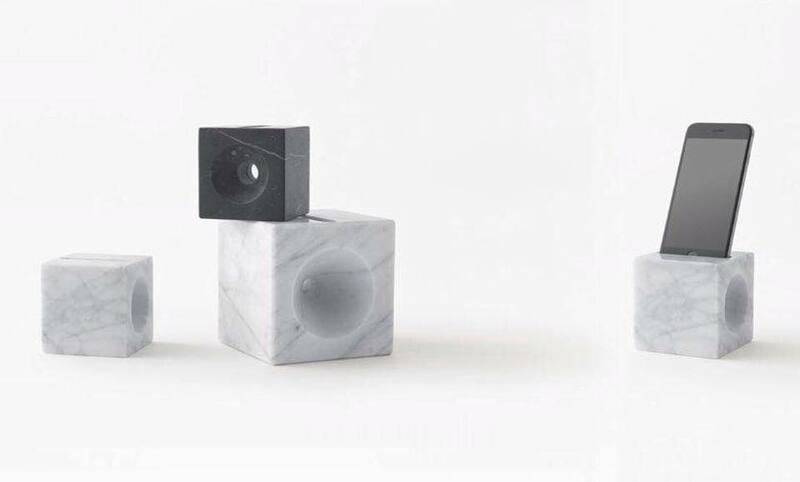 Marsotto edizioni has become a collection of products for everyday use also surprising and sometimes ironic which refer to an international culture. 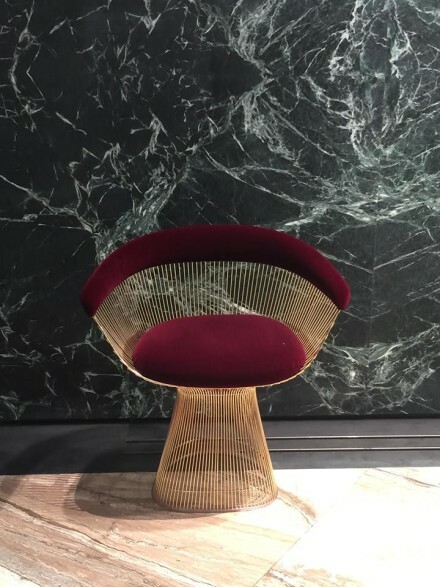 The collection convey a feel of modernity while preserving the luxury gathered from nature and enhanced by human interpretation. 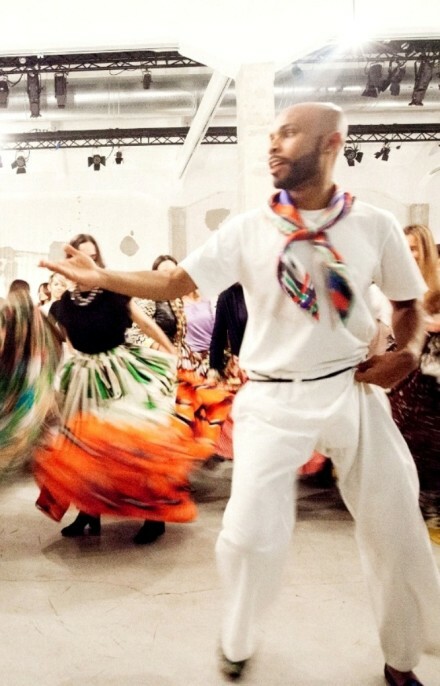 Marni used dance to create a link between the new design collection and the traditions of Colombia, the country that inspired it.